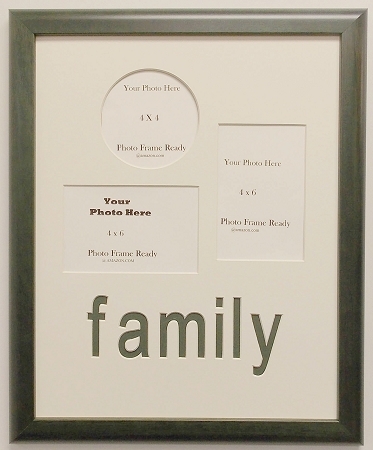 Family photo frame includes 2- 4x6 photo openings with 1- 4x4 circle photo opening. The work FAMILY is carved into the top creme mat and has the forest green bottom mat showing and matches the forest green wood frame. 15 x 18 overall size of frame unit includes mount board, glass, and wall hanging system.